For many, it was just another Indian summer Friday as autumn was settling across Oklahoma. As the days progressed the beautiful colors that marked the season in Eastern Oklahoma would deepen before the winter set in. Farmers were bringing in the fall wheat harvest in Western Oklahoma. To the greater populace of Oklahoma City, October 6, 1911, would come and go as any other day. For a special group of Freemasons, the day would hold a momentous occasion. On that fateful morning, two uniformed lines of Knights Templar would become one. We seek to join together in bonds that are more sacred and binding if possible than any other can be, those who have proven themselves by terms of pilgrimage and warfare through the degrees of the ancient craft; who have wrought in the quarries and brought forth good specimens of their skill in the Masonic art, and who have by successfully traveling rough and rugged roads arrived at high eminence in the Royal Arch, and by their patience and perseverance, their constancy, courage, and fortitude have demonstrated their capacity and fitness to be clothed as princes of the royal household. [i] Grand Encampment of Knights Templar of the United States, Proceedings of the 25th Triennial Conclave (Richmond: Wm. Ellis Jones, Book and Job Printer, 1892), 42-44. [iii] Grand Commandery of Knights Templar of Oklahoma, Proceedings of the 17th Annual Conclave (Oklahoma: 1912). [iv] Most Worshipful Grand Lodge of Ancient Free and Accept Masons of Indian Territory, Proceedings of the 16th Annual Communication (Muskogee, I.T. : The Phoenix Steam Printing Co., 1890). [v] Grand Commandery of Knights Templar of South Carolina, Officer’s Manual (South Carolina: 1999), 6. [vi] Grand Commandery of Knights Templar of Oklahoma, Proceedings of the 1st Annual Conclave (Oklahoma Territory: 1896). [viii] Grand Commandery of Knights Templar of South Carolina. [ix] Charles E. Creager, History of Freemasonry in Oklahoma (Muskogee, Oklahoma: Muskogee Print Shop, 1935), 181-182. [x] Grand Commandery of Knights Templar of Indian Territory, Proceedings of the 11th Annual Conclave (Indian Territory: 1905). 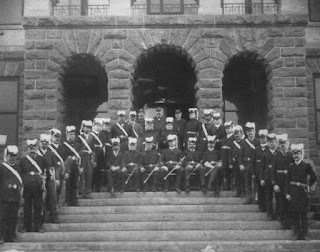 [xi] Grand Commandery of Knights Templar of Indian Territory, Proceedings of the 14th Annual Conclave (Oklahoma: 1908). 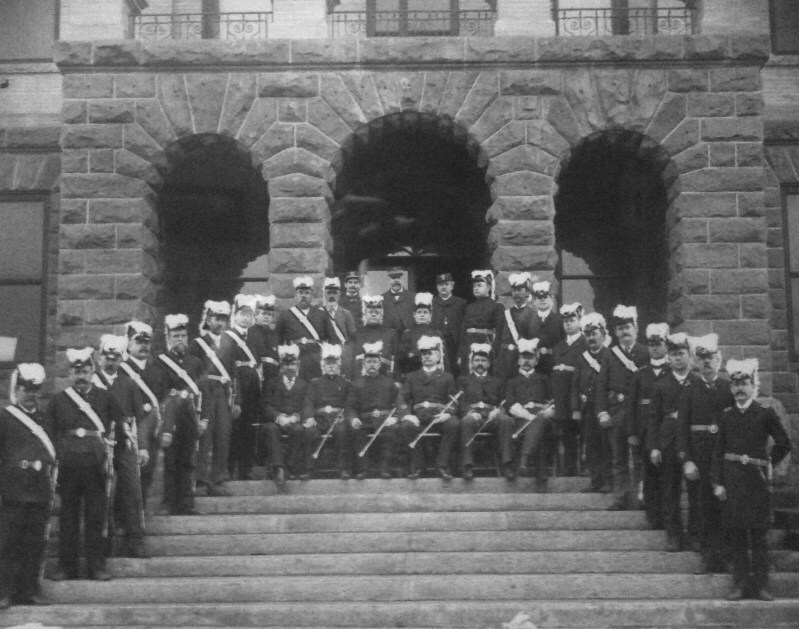 [xiii] Grand Commandery of Knights Templar of Oklahoma, Special Conclave for the Purpose of Consolidation (Oklahoma: 1911). [xv] Grand Commandery of Knights Templar of Oklahoma, Special Conclave for the Purpose of Consolidation.